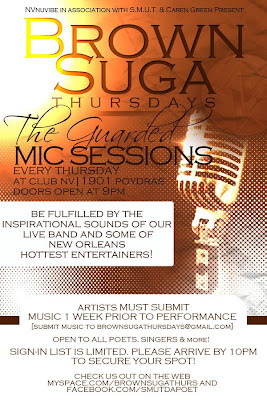 ashlee nicole spills | blog: Brown Suga Thursdays @ NV Lounge. The event features poest, singers, rappers and more. This week's feature: Poet Uncaged Bird. It's said to be the best in spoken word and music with a live band. If you're into this scene, you should definitely check it out.